How would you rate your experience with BurgerFi ? 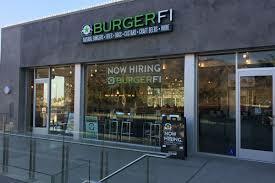 BurgerFi traces its roots bacak to founder John Rosatti’s restaurant ” The Office” in Delray Beach, Florida, and its all-natural Angus “CEO Burger” that instantly became the restaurant’s top seller and most talked about item. Rosatti envisioned taking his award winning burger beyond Delray’s famed Atlantic Avenue and spreading its appeal across America. From this vision, the “BurgerFication of the Nation” began. The company offers only Angus prime cut hamburgers, hand cut French fries, custards, and a variety of craft beers and wine. In mid-2018, the company released their chicken burger featuring free-range chicken breast meat. The company is best known for organic, antibiotic-free meats and recently earned an A rating from Consumer Reports and numerous other groups. Franchising began in 2014. 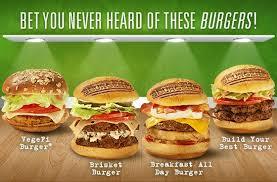 BurgerFi currently has 100 locations in 20 states, as well as franchises in Panama, Kuwait, and Mexico. In 2015, Burgerfi was the fastest growing franchise in the US. In addition to free-range, organic meats, BurgerFi focuses on eco-friendly and sustainable restaurant components like chairs made from upcycled Coke bottles, tables created from upcycled milk jugs, wood-panel walls designed from No. 2 Southern Pine Lumber, and counter tops made from 100 percent compressed recycled paper. BurgerFi headquarters are located in North Palm Beach, Florida. Question 1: What is the phone number for BurgerFi? Answer 1: The phone number for BurgerFi is (561) 844-5528. Question 2: Who is the CEO of BurgerFi? Answer 2: The CEO of BurgerFi is Corey Winograd. Question 3: Who founded BurgerFi? Answer 3: BurgerFi was founded by John Rosatti in 2011. I ordered online on Friday and had a problem processing credit card payment due to zip code verification. I attempted to pay twice with issues. I went ahead and called and placed an order they also could not process due to zip code issues. I went ahead and to the store and paid in person. I had 4 charges on my account and have disputed 3 of the charges with my bank. My problem is I called your store and spoke with the manager who was not helpful at all. His first question to me was if I had a receipt. The second was a question to me of what did I expect him to do? He then told me to call corporate, when I asked for the number he told me to google it. I hung up. I will not be going back to burger fi again. This was your Lighthouse Point Burger Fi on Federal Highway. Want to make sure BurgerFi sees your comment or complaint?